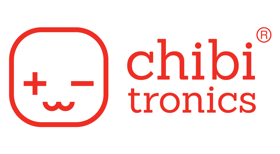 today I’m back with a new Chibitronics light project to share with you. At the moment I’m totally in need of baby cards, as everybody seems to be expecting. I recently ordered this cute little fairy from Clearly Besotted Stamps and I thought it would be perfect for a baby card as well. But this time, I didn’t want to reach for the normal baby girl colors, as not everyone wants pink for their baby girl. Normally I don’t use yellow and not that much I use blonde color for hair. So this card was a total challenge for me. But I’m really happy with the result and I want to play more often with this colors. Sometimes it is a great idea to challenge yourself. Stamp the image and color it using my Copic Markers. Then I fuzzy cut the image. I hope you enjoyed my card for today. Please don’t forget to go over to my YouTube Channel to watch the tutorial. I hope to see you guys soon. I wish you all a great Sunday.